Every hairdresser dreams about starting his or her own business. Self-employment means that they can freely decide on almost everything concerning their hair salon. The kind of services they will offer, the people they will employ and the hairdressing furniture or professional tools they will use. And one of the most important furniture in every place of that kind is of course hairdresser's chair. That is why, the decision on which chair to buy is extremely important for every professional hairdresser. 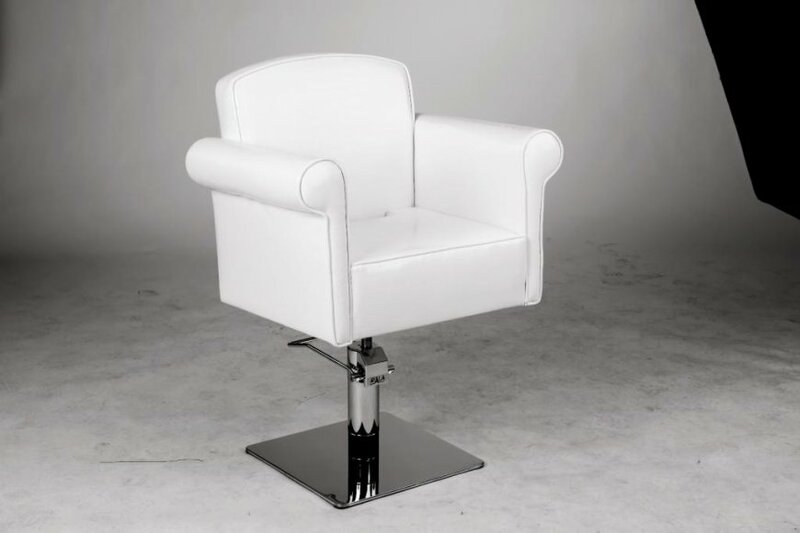 Nowadays, there are a lot of companies that specialize in producing all kinds of hairdressing furniture. Because of that, the choice is quite big, which is an advantage and disadvantage at the same time. Of course, we may find such hairdresser's chair model which will perfectly suit our needs. However, we usually have to spend hours browsing through different producers' offers to make sure that we are choosing right. After all, we all want to invest our money wisely. Even if you do get frustrated with the number of different kind of professional styling chairs, you cannot rush the final decision. Take all the time necessary, to choose the piece of furniture that will be functional and comfortable. This is one of those things in any hair salon that may influence the client's satisfaction with the service, but also your working comfort. So don't rush your decision concerning the choice of hairdresser's chair and make sure to buy the right product. While choosing the hairdresser's chair you need to take into consideration two major things mentioned above. First of all, it has to be functional, so it will make your work much easier and more enjoyable. For example, make sure that it is hydraulic and lockable, as thanks to those features, you will be able to adjust the height of the chair with ease. Also, the hairdresser's chair needs to be stable, so choose the one with the proper base. Second of all, the styling chairs in your hair salon have to be simply comfortable. The clients visit hairdressers not only to improve their appearance and style their hair, but also to relax and enjoy themselves. Because of it, you should make sure that the chair you buy is cosy and has the right backrest. You may also find the chairs with fitted footrests, which will bring your clients even more comfort. What is more, you should also remember that the hairdresser's chair needs to match the style and interior design of the whole hair salon. It cannot stick out from the rest of the equipment and furniture. Take it into consideration while browsing through the catalogues and choose from the stylish chairs that will fit your salon. The easiest and the cheapest way to purchase the hairdresser's chair is to choose one of those offered us by the producers in their catalogues. However, there are also companies, which give their clients a chance to create their own, unique styling chairs. Of course, this option will cost you much more, but if the original look of the hairdresser's chairs in your salon is really important to you, that may be a perfect solution. Designing such piece of furniture can be a lot of fun as well, so if you have sufficient amount of money, go for it!